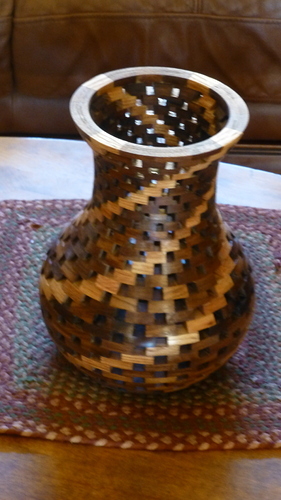 I have been a wood turner for about 2 years. I branched out and started making signs by routing freehand w/ much of my learning coming from the good folks at “Make a wood sign” website. I’ve only recently started researching CNC machines and the challenge and preciseness of the CNC appeals to me. After looking around on the web, the shapeoko seems to a great buy for the buck and in my price range. I haven’t pulled the trigger yet to order. I have been studying the tutorials, software, assembly directions. My head is swarming.I’m getting closer to ordering when I stumbled upon this Shapeoko community site. I see so many people with all this issues and complaints. What gives? I thought the Shapeoko 3 was time tested by now. It is starting to worry me. I was hoping to carefully put the thing together, hook up a pc and the thing would work like a charm and just amaze the heck out of me. A little testing and then on to clamps and a wasteboard and then the sky is the limit. Should I be scared off? Is their constant maintenance or adjustment until it is right. I 'm reading that people taking something off or loosening this or that. What is the deal? Is this a solid machine and will work right out of the box or what? I don’t want to pissed off that I blew $1630 on a CNC that is always wondering why it is working quite right. Someone give me the real scoop. Thanks. Mostly, only folks who have problems post in the on-line forums about initial machine setup. No, we (Carbide 3D) are not perfect, nor are the machines — they’re built to a price point to be the best possible value in desktop CNC for the home hobbyist — and sometimes we make mistakes. Please rest assured that if anything is wrong with your machine we will do our best to work with you to ensure that any issues are addressed (missing parts are the most common culprit, things not connected properly, or a basic misunderstanding of the instructions most of the balance) and that the machine works to its specifications and your satisfaction. Chances are the machine will have all its parts, you’ll get everything assembled correctly, and you won’t have any difficulties with the instructions — we are working on updating these again. Please let us know if you find any points which we can improve on. Anyone who has any concerns about their machine or how it functions should feel free to contact us at support@carbide3d.com and we’ll do our best to set things straight. As Will alluded to, most folks come to a forum to solve problems. One question you might ask is how many of these machines have been sold, then compare to the number of posts here. I can’t comment on the Shapeoko but most problems with my Nomad are me ascending the learning curve, mostly of CNC versus the Nomad in particular. I purchased an xxl about 2 years ago to try and make some money with it. I have had 2 kids since then, and have had only spurts of time to use it. That said. I put the machine together and was running jobs without issues when purchased. My main struggle point was learning what CAM meant, and understanding telling the machine what toolpaths to take and what bits do what. (I use Easel for most of my designs now, and carbide motion as my sender). My other sticking point was workholding. I’ve moved to a setup now where most of my work is done with a sacrificial piece of MDF screwed to the wasteboard, and my workpiece screwed to it. I had to move so I disassembled the machine, and once again assembled it and was running jobs without issues. Based on your background in woodworking, I’d guess you have some mechanical skills and probably won’t have issues. It’s my personal opinion that people buy the machine without enough background, and think it will be like buying a fully assembled 3d printer where you can just start printing. It isn’t. If you run into issues, it sounds like carbide3d will bend over backwards to help you out. But if you have two left hands and don’t understand mechanical concepts, it will probably be a struggle. There are guys on here doing amazing work like @RichCournoyer but they have amazing background too. If you put the time in, the machine should work for you. Thanks for the feedback! I feel better now. I’m a retired IBEW electrician of 35 yrs. so I have a little mechanical and tool skill level. I’ve own a pc since the 1992 so my computer skills are not bad. 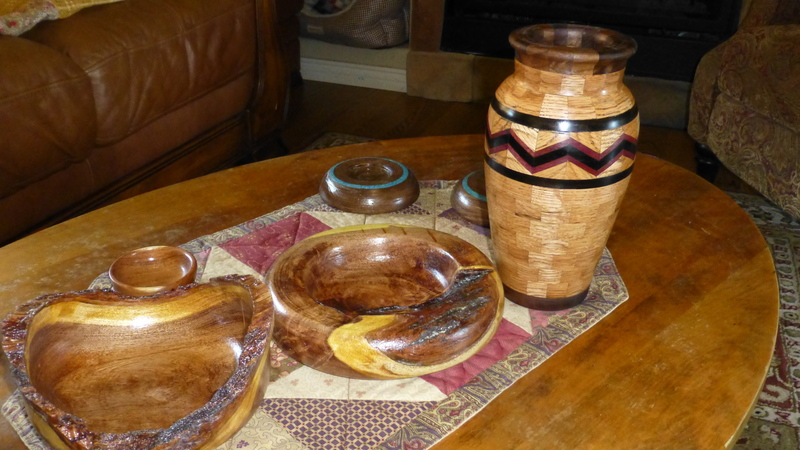 I’ve made some fantastic bowls and vases(open and closed segmented) with just some basic skills learned at an Az resort one winter from some friendly wood workers happy to pass on their knowledge and experience. 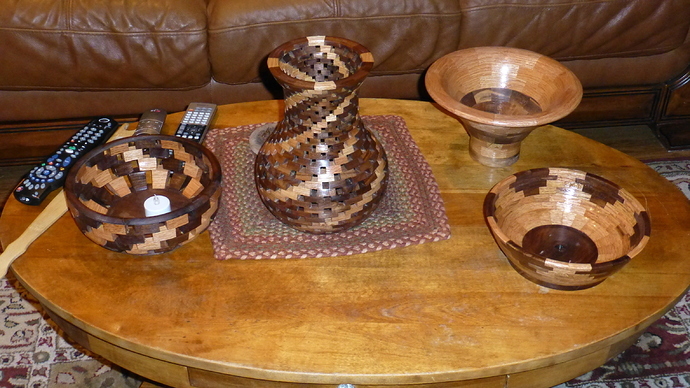 I came home that spring and built up my woodshop from there. 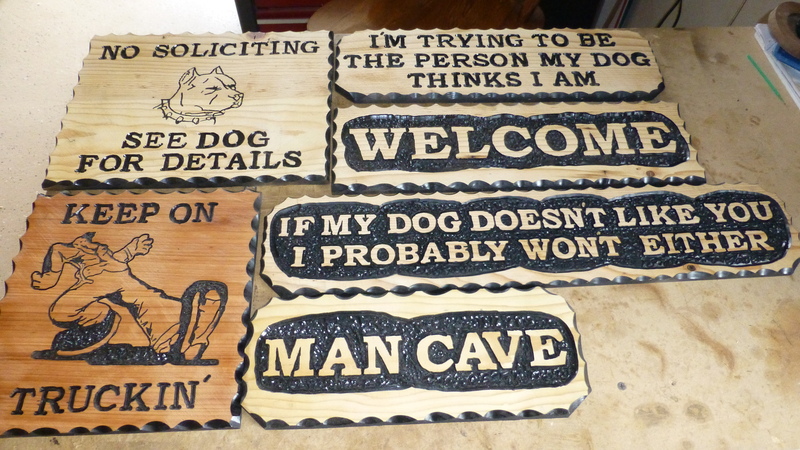 Same with my time with free hand routing signs. Just get in there and do it and ride the learning curve. Learn along the way. The machine is only as smart as the user. It sure looks like there are enough users, info, pictures and support sites that can help in any situation.Thanks for the feedback. I’m glad I figured out how to use this site. While I’ve have your attention. I still trying to get straight in my mind 2.5D machining vs. 3D. Should I get familiar with my machine first w/ Carbide Create and then worry about laying out $300- $699 for VCarve Pro. Can I do the amazing w/ 2.5. Carbide Motion is obviously just fine for the actual working of the router. Should I be looking at Inkscape, Carbide Create, etc.for design at first before spending more money. I already have the Makita trim router. I see people are turning over the adapter to gain an extra 1/4" on the Z axis. Is this really necessary? Is the Dewalt the preferred router which I can always buy locally or is the Makita just fine until I burn it up? Spend that extra $100 buck on bits. Thanks guys. I love talking CNC. Do I need a CNC. No. Do I want one. Hell yeah. I bought my wife a $7000 quilting machine. What is $1630 for a Shapeoko XL! Hey Gregg - Good questions to ask before taking the leap. products the first week you were wood turning, don’t expect this to be like a paper printer where you turn it on, click ‘print’ and walk away to return to a perfect printout. Practice and understanding will be required to put out quality product. On the Nomad side there are a fair number of jewelry makers who turn up frustrated that everything isn’t falling immediately into place the first piece they try. And that is with a product that literally is out-of-the-box ready and requires pretty much zero maintenance and alignment. Learn learn learn Practice practice practice. Adjust thinking as required. All too often the business reality side is pushing for it to be ‘easy’ but the real advantages lie elsewhere - in precision and speed of replication. From my experience which is mostly doing one-off prototypes many times I could probably manually machine some parts faster than setting up for a CNC run. When doing prototype pieces manually its easy to stop/adjust/tweak as you go. In the CNC world its the opposite where my time gets consumed far more on the preparation/setup/verification time. Skimping on this part usually means ruined pieces and can be frustrating for those not used to it. The measure twice cut once principle on steroids really. There are probably better qualified folks to talk about the Shapeoko 3 specifically but I will say that in general anyone who comes onto this forum with a problem rarely leaves without a solution, be it hardware/software/materials/milling/you name it. Carbide3D support in my experience has been excellent and more than generous in both time and parts where required. Thanks for the feed back. That is sound advice. As a IBEW electrician, detailed, quality work was always our forte’ and claim to fame. 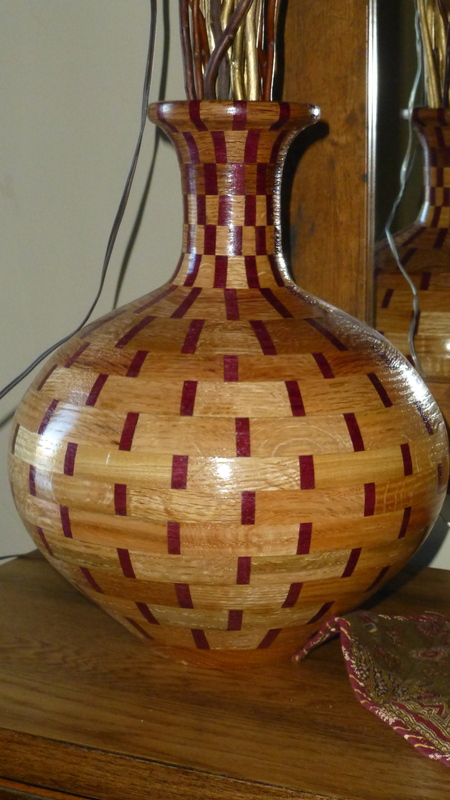 I was always a believer in measure twice and cut once and even now as a wood turner. It makes perfect sense in that all the work is in the setup before before one pulls the trigger on the machine. Same as any construction job. Proper layout and design. Proper prior planning. Thought out design, properly setup tool paths, proper bits, tighten clamps and away we go! Machine not properly assembled, loose belts, loose set screws, parts assembled backwards, etcetera. User doesn’t have full knowledge of CAD/CAM and tells the machine to do something. Machine does what it’s told, machine destroys project. This is your “trash in->trash out” error. Both of those issues are caused by the end user, and while most folks figure it out, some others refuse to believe it’s their fault and come onto the forums raving that C3D and their products stole their wives, first born children, Christmas, New Years and their very own birthdays. There are some occasions where the machine is at fault, bad parts get through QC, but “most” (not all) of what I’ve witnessed is user error. So if you have a little patience, are somewhat handy, and can admit when “maybe you did something wrong”, then these machines will work for you. By the way, everyone here did something wrong a few times while learning, some of s even did the same thing wrong a few times before we figured out the issue. On a different note, do you have any pictures of your wood turnings? I bought a little Nova Comet II a few months ago and I’m absolutely entranced watching that thing spin. I’ve mostly made pens and a few candle holders so far, but I’m getting better! I totally agree. Like I said above, the machine is only as smart as the user. It will do a great job of precisely doing it wrong if you tell it to. I believe I’m tool worthy enough and have enough experience w/ tools to take this on. I’m savvy enough w/ computers so I think the problem is the same as always when taking on something new. The fear of the unknown but this unknown costs upward of $2000 by the time you get set up. I’m not so much doing any of this to sell. It is a hobby for me. 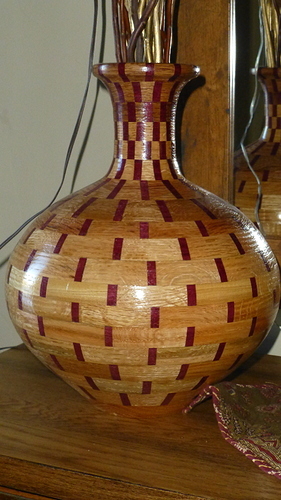 Some of my wood turnings are amazing but people are not going to pay what my software says it is worth. I like looking at them all day long. I would love to show you some pics of my work. When I first learned down in Mesa, Az. I made a couple of pens, practiced getting a feel for the different wood turning tools by doing a little spindle work and also made a very tiny bowl. Came home and found an old boy selling his 1984 Craftsman 1/2 h.p.lathe ( carriage is round) set on Craftsman cabinets and a starter set of Harbor Freight wood turning knives. I bought 2 carbide knives(square & round tip). Carbide cutters made life a lot easier for the beginner wood turner. I went on and bought a used jointer, planer, spindle sander and drill press off Craigslist. I already had a table & radial arm saw. The only tool I bought brand new was a Rikon 14" resaw bandsaw, the most important and versatile tool in the shop. 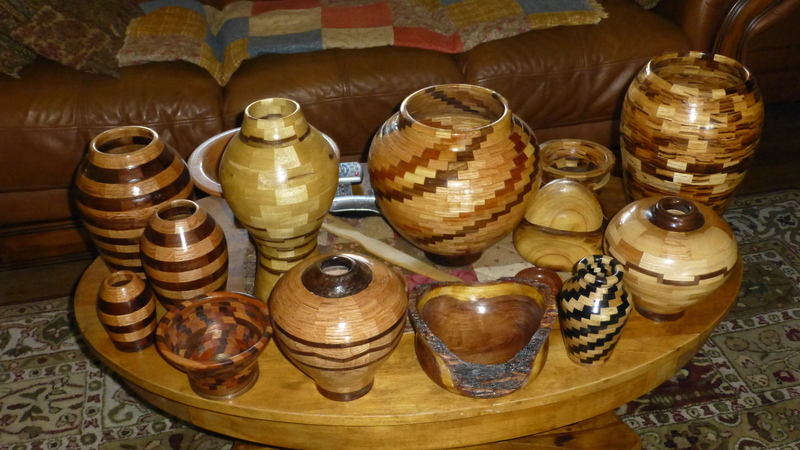 I soon realized if you don’t start moving into open and closed segmented work, 60+% of the wood you may have purchased ends up on the floor. Less waste w/ segmented work. The software I use by Lloyd Johnson (Segment Pro and Lamination Pro) does all the math. Print out your summary and away you go into the shop cutting and gluing rings. If I had your email address I could attach some pics. Can one attach pics on these posts? Email address sent in PM. You can also attach photos directly on the forums by pressing the little up arrow in the reply window. You just had to ask for a few pics! Last ones! Thanks for asking! Holy mackerel!!! Yea, you’re just a tad more advanced than I am. 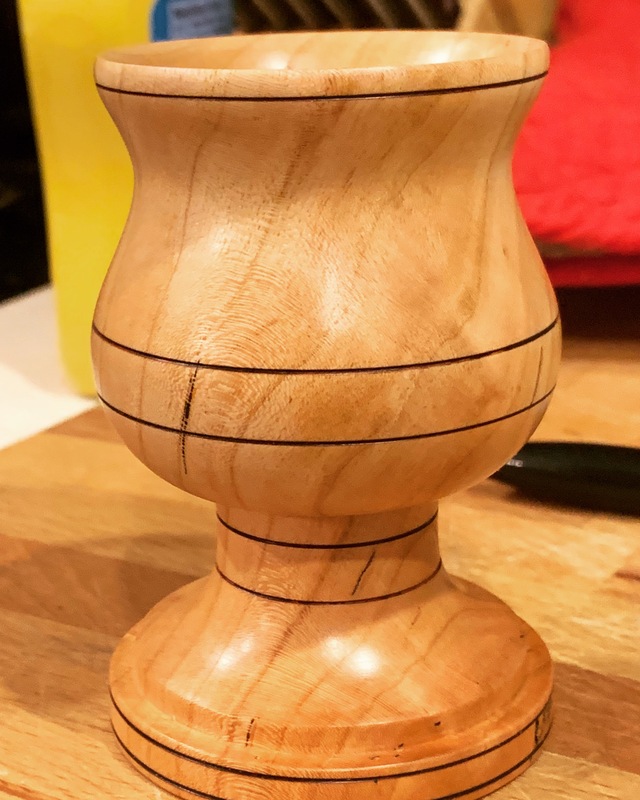 I haven’t even tried any segmented work, heck I haven’t been able to really hollow anything without catching an edge (thank goodness for face shields!). I won’t post any of my pictures, just simply not worthy, haha!!! Really good looking stuff!!! Thanks. It just takes practice.Been about 2 years now. I’ve come a long way. Trial by fire! Just like CNC, awful lot of good info on the web. Check out Segment Pro by Lloyd Johnson. Nothing wrong with that at all! That is great stuff. 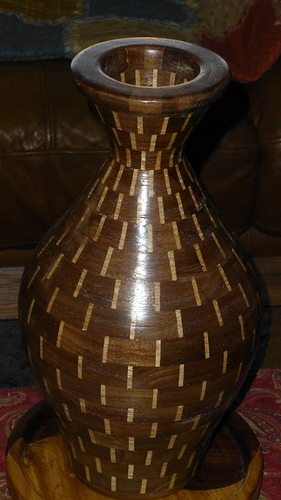 I’ve done little spindle work. My old lathe is 3/4 x16 TPI #1 MT. I don’t really very good live centers for the headstock. I only own the Nova Precision Midi chuck w/ worm screw. It has sufficed for this long. I get by w/ faceplates and glue blocks and the Nova Midi. You are definitely on the right track. 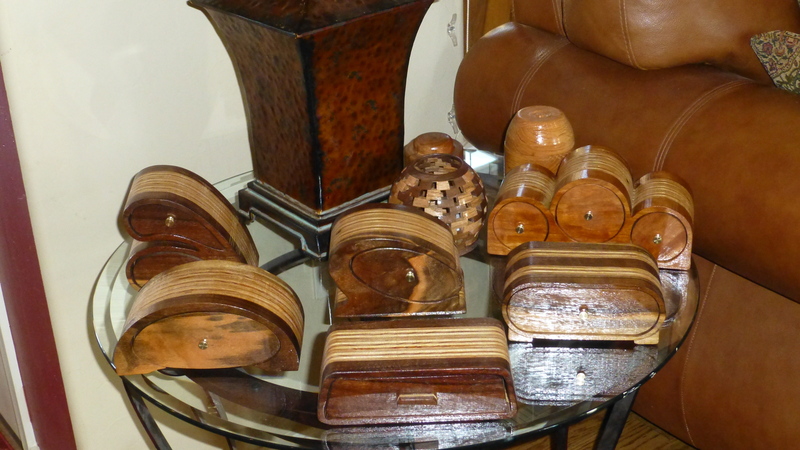 That is what I like about this wood hobby; so many different ways to go. I’m not tired of turning. 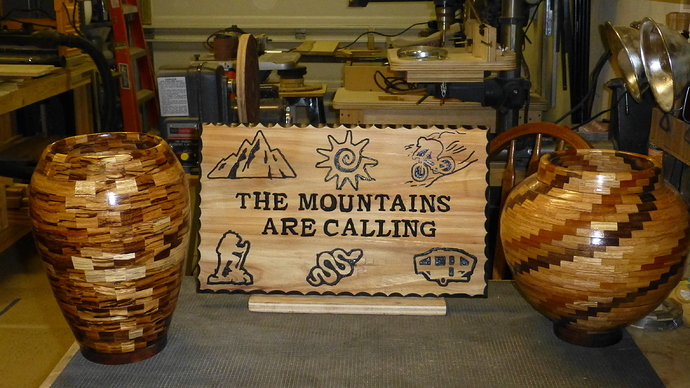 Freehand routing was for for awhile. There is just something about the CNC that is attractive. 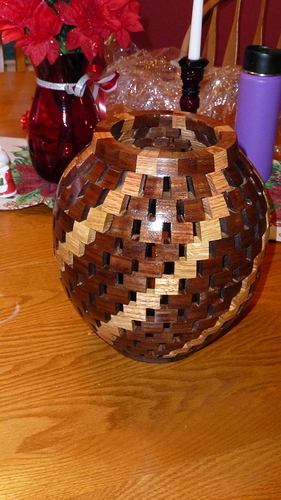 Combination of computer and woodworking. All the work is in the design,setting up the toolpaths and the machine. Can I get by w/o VCarve Pro or is that something for later as I rise on the learning curve? Your thoughts. Thanks in advance! Combination of computer and woodworking. All the work is in the design,setting up the toolpaths and the machine. Can I get by w/o VCarve Pro or is that something for later as I rise on the learning curve? Your thoughts. Thanks in advance! Like I said I went in a completely opposite direction. I was doing a bunch of 3D printing, then CNC routing, then all of the sudden it was like I missed holding tools and sanding and shaping by hand. I’m not a designer, but I do a fair amount of CAD for my day job and I’ve gotten decent on the PC, but there’s just something missing when I babysit a machine for 2-3 hours while it cuts stuff out for me. I hope that in a few years I’ll have gotten good enough at both to where I can pair up all of the processes. As far as software goes I’m really happy with VCarve Desktop. It does 99% of what Pro does, but has a smaller 24x24” envelope. That doesn’t mean it won’t work on the bigger XXL machine, just that the project size is limited. It’s 1/2 the price of Pro, and if you ever wanna upgrade you only pay the difference. Other folks seem to be happy with Fusion 360 which is free for businesses that make under $100k/year. I personally never liked it, but I seem to be the minority. Edit: There’s also Carbide Create which is free. It’s stupid simple, but with a little persistence you can do some really cool stuff.